Didn’t you know that you can get your own picture to appear next your post or comments on your WordPress?​ Well.. This is my 2nd blog post to tell you exactly how you can do that on my Wednesday WordPress Tips for today. If you wish to check my previous post, please click here. 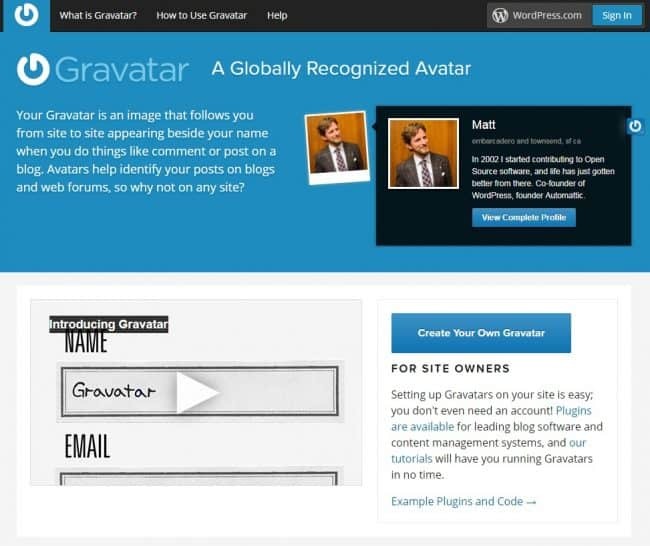 Gravatar is a ​widely use ​service for providing globally ​recognized avatars which was created by Tom Preston-Werner.​ It has been ​fully ​owned by Automattic​ since 2007​, who have integrated it into their WordPress.com blogging platform.​ Millions of avatar images are being served over 8.6 billion times per day. Once you’ve created a Gravatar using your own photo or image​, it will appears next to your name in your comment or post on any blog or forum site. Since you know what is Gravatar and how to create it, let’s get started right now! Next, an activation email will be automatically sent to your ​mail ​inbox​. Check your inbox and ​open that email​, click on the link​ to verify your account​. ​Then, you’ll open new page where you can complete your​​ login information. ​Now, you may need to log in your Gravatar again and start editing your profile. Click on the “My Account Button​” in the top right corner of their page. This menu will offers your several options; Let’s start with “Add and Image”. You will be asked to select where to upload your image from, complete the step by upload your image from your computer and move on. You may need to crop your image for both small and large display. Next, you will need to choose rating for your image, if you’re using Gravatar for business purposes, you’ll want to select a ‘G’ rating. Hence, your image will be display on all sites. Finally, you will be asked to select which email address (if you have more than 1 email address registered) you would like your image to be attached to. On the main logged in page, you will notice an option “Add Email Address”. 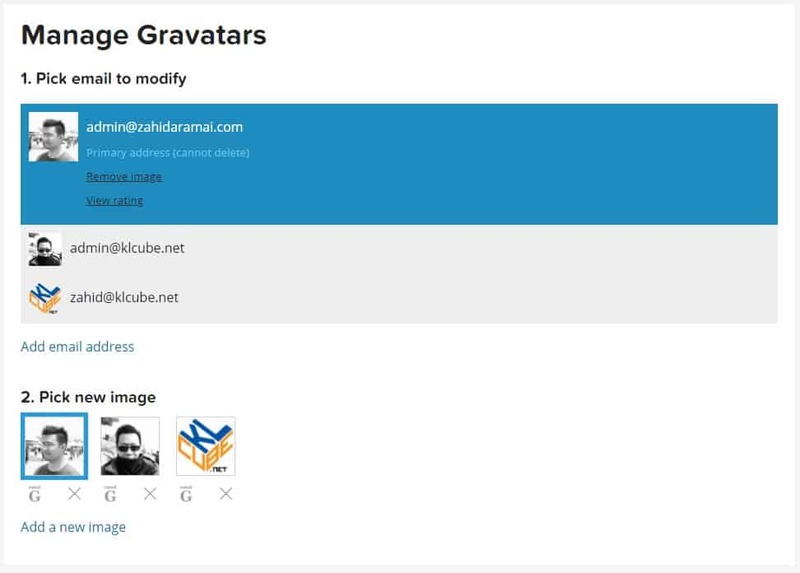 You can simply create a new Gravatar for another email address. 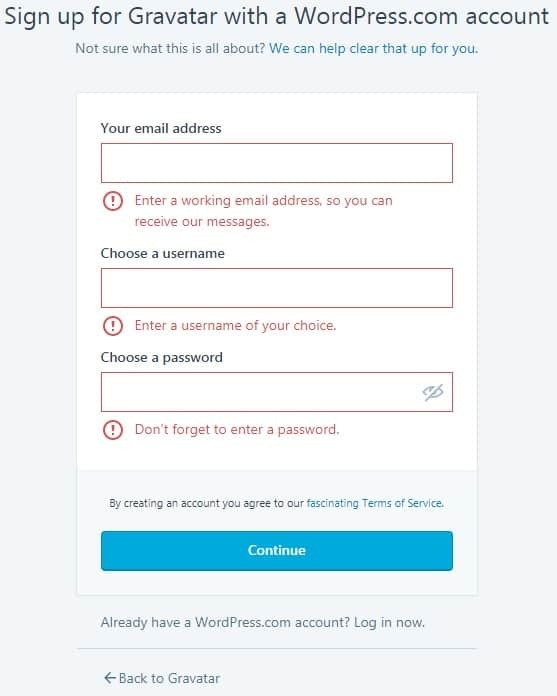 Just add the new email address and follow the same steps as above. In addition, you are able to choose a primary email address if you have more than one. Wait approximately ten minutes after entering or changing a Gravatar for it to take effect. Let’s complete your profile (or view by profile here) by entering in some additional information about yourself. Go to the menu button again and click on “Edit My Profile”. You can fill in your information about yourself as you would like. When you’re done click “View My Profile” to review the information that you entered earlier. You will notice at the bottom of the page that a personal profile link is provided, feel free to use this link as you see fit. You can also view your profile, as well as manage your Gravatars, add a photo, change your password and log out. We’re done! Now you’ve successfully created a new Gravatar! From now on your comments and posts will have that personal touch! Try it out, let me know if you have any issues to create up your Gravatar by simply contact me here!